Automation Workshop Free Edition is a version of our commercial IT process automation software that we have decided to give away to home users for non-commercial use completely for free. Although it features some minor limitations relative to commercial editions, they are of no burden in the context of personal use. Febooti, SIA is privately held company with headquarters in Riga, capital of Latvia in the Baltic region of Northern Europe. At Febooti Software, we always pay great attention to our product quality. From carefully considering the functionality and user interface to thoroughly testing the end result, each and every step is taken with integrity to provide a reliable experience to our users. We know how important it is that the software just does what you need. By weaving together an aesthetically pleasing interface and under-the-hood technological sophistication, we strive to offer products that are both a pleasure to use and capable of delivering powerful functionality. We are a dedicated team of IT professionals located in Latvia, Northern Europe and we just love free and open software. We use a lot of free software on daily basis, and now we are proud to join the ranks of the developers that make the world a better place by sharing the results of their work. We believe that money should not be an obstacle in achieving personal goals. That is why we decided to offer home users a version of our commercial software free of charge. We have been into software development for various platforms for more than a two decades. While some of our products earn us a living, we have created numerous others just for fun. Our first software products were designed and deployed even before the existence of the Internet, when the software was distributed on floppy disks or through dial-up Bulletin Board Systems (BBS). Nowadays, software distribution is much easier which is also indicated by the download counter in the right column. More recently, since 2003, we have founded a software company Febooti Software and started to offer a range of commercial and freeware products to our customers. We are well informed about the origins of current software paradigms, their histories and advancement. We firmly believe into further future development of software and try to contribute our part to it. Visit our Febooti.com corporate website. CEO, co-founder, lead developer Māris Bormanis @Wishmesh. Co-founder, lead UI & UX, web developer Harijs Rožukalns. Aivars Andersons, Board member of Dzivnieku Briviba NGO. And other contributors that do not seek publicity, yet are passionate about free software and want to make a difference. Visit Automation Workshop official Blog, Twitter and Facebook. Did we say free? Yes! 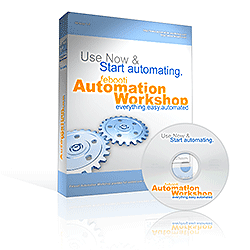 Automation Workshop Free Edition is available free of charge for home users. Read details · Can I use the Software? Freeware Hash & CRC · compute file checksums. Freeware Hex Editor · hexadecimal binary file editor. Free Downloads · more free downloads from Febooti Software. Urih.com · online network tools & utilities. Although we focus on PC and Windows systems, we also have a soft spot in heart for Android platform. We have developed freeware Android applications A1 SD Bench and A1 CPU Tool, which now are maintained by Tuxera Inc.